On Saturday, December 2nd at 12:00 PM, the University of Cincinnati Bearcats travel to the Cintas Center in Norwood, Ohio to face the Xavier University Musketeers. Since the school’s founding in 1831, the Musketeers have yet to make an appearance in a NCAA Tournament Final Four. Not one. Conversely, the University of Cincinnati, founded in 1819, has advanced to the Final Four no less than six times. The Bearcats have now played their annual red vs. black scrimmage and won two exhibition games, handily. The regular season tips off on Friday at noon against Savannah State. Let’s dive into our initial thoughts so far on a much anticipated UC basketball season. The Cats are calling BB&T Arena home this year. Don’t drive to Fifth Third Arena – they won’t let you in until November 2018, especially if you don’t have your hardhat and lunchbox. I was initially annoyed by the move. Call me selfish, even a stick in the mud, but I’m a creature of habit and traditions. However, my personal inconveniences are outweighed by the brand-spanking-new state-of-the-art arena next year, and the drive to NKU’s campus in Highland Heights, Kentucky, across the mighty Ohio River really isn’t that bad. More importantly, the Norse actually have themselves an awesome, intimate basketball arena. BB&T Arena reminds me of the trip I took to VCU in 2015 to watch UC beat the Rams. Anyone who has been to the Stu knows how great of a basketball atmosphere VCU has to offer. BB&T was built in 2008 and holds 10,000 fans. I’m a fan of smaller, jam-packed venues, and this place foots the bill. BB&T should get very, very loud when some of the marque opponents come to town, including Mississippi State, Wichita State, and SMU. On top of that, there is a Braxton Brewery beer garden for the fans to enjoy. Please let us know your thoughts on the venue, as well, as the season unfolds. Is It Hype? The Preseason Accolades Are Piling Up. Admittedly, I was a young teenager growing up in Toledo, Ohio, trying to grow hair on my chest, during the heyday of Bob Huggins and Kenyon Martin. That being said, this season sets up as the far most hyped Cincinnati Bearcat basketball season I can recall. Sure, Sean Kilpatrick’s senior season with Justin Jackson was up there – but this just feels different and much more significant. Are we about to witness something we’ve not seen this winter and spring? Are we getting too “over our skis” by thinking a National Championship is possible? Several polls placed UC around the preseason top-10 mark. UC is even getting some good looks and headnods from the talking heads at Sports Illustrated, CBS Sports, and ESPN. Just today, CBS released an article (and demonstrative map) indicating that the University of Cincinnati should exercise geographical dominance over weaker Ohio programs like Xavier, Dayton, and Ohio State. ESPN’s Sean Farnham and Seth Greenberg predict the Bearcats will make the Final Four, and Jeff Borzello predicts Mick Cronin will win National Coach of the Year. Gary Clark and Jacob Evans are also showing up on lots of watch lists for end of year player-specific awards. To make matters better, you have the sophomore videogame-like scorer Jarron Cumberland who put up 27 points on 11/15 shooting in the last exhibition. Go ahead and stir into that mix highly-touted transfer point guard Cane Broome, the always steady Kyle Washington, and a host of talented role players with game experience like Justin Jenifer and Tre Scott. As if that wasn’t enough, the Bearcats also feature talented incoming freshman like Keith Williams and Eliel Nsoseme (who may even get enough playing time for you to learn how to say and spell his name – the dude is a beast). This team is deeper than the wedgies I used to get before wising-up and switching to boxer briefs. One commentator observed this team is deeper than magma, or the basement of hell. I can’t wait to see how Coach Cronin rotates his players off the bench in a quasi-hockey-line fashion. This team is fast. Broome and Co. can really move the ball up court with Evans and Cumberland on the wings. My only real question is how far will #15 Broome take us? Cane is a lights-out, savvy ball handler and scorer. But a year of practice and two exhibition games against teams you’ve never heard of simply do not tell us how he will handle his first Crosstown Shootout, Florida, or the AAC slate. Lucky for him – Broome does not have to do it alone. This team is oozing with offensive talent. When was the last time you could say that? Who will shoot the final shot? On top of that, Justin Jenifer isn’t bad at all as a backup point guard with an incredible left hand. Prediction: This Squad Is All Beer, No Foam. I think this year is more than hype. If they can figure out how to allocate opportunities, UC has a real chance to make a move in March. Their strength of schedule currently sits at #1 in the AAC and top-10 in the country. The Bearcats face Xavier, UCLA, Florida, and Wichita State twice, just to name a few big games. I am fully expecting Mick to get this squad back to the Sweet 16 and to make a deep run in the conference tournament and March Madness. I cannot wait for Saturday, December 2nd at noon when the Cats march into the Cintas Center ready to make it two in a row for the good guys. It will be interesting to see how the 1’s and 2’s grow together in the games leading up to the Crosstown Shootout, as well. 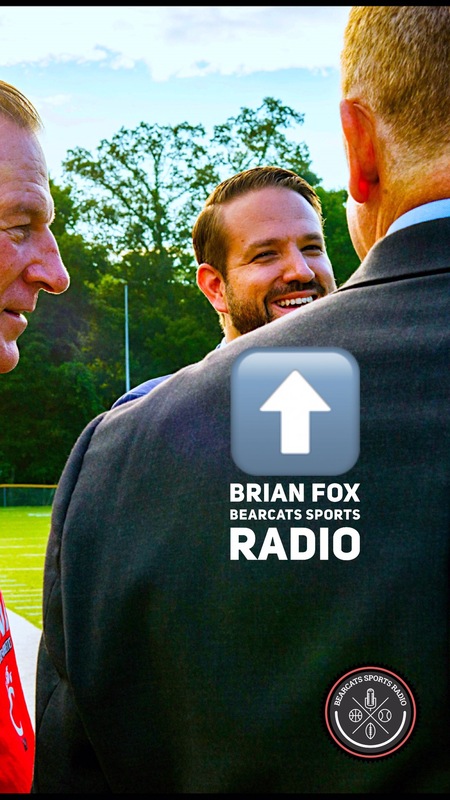 For more, follow along on Twitter/Snapchat – @BearcatsRadio, Instagram/Facebook – @BearcatsSportsRadio. Sometimes the body has to jump. Bound. Leap. Toward the pale blue heavens, feet press against the Earth beneath searching for sky. Arms cajole the head and torso upward, arrows firing toward the sun. Standing just outside the tunnel, I watch the University of Cincinnati players sprint, skip, and jump their way onto the turf at the University of Michigan’s “Big House.” Fighting back tears, the moment has me. Grown kids unconsciously springing into the air as their eyes meet 111,000 football fans is too much for this grown man to bear. I wipe tears from behind Waferers, hat pulled low. This is a football game, after all. No doubt, many saw players running onto a field; I saw more. Maybe fatherhood transformed me into this sorry sentimental excuse of a man. Raising three sons prevents me from ignoring the micro-communities that also bound onto the field of play. Each player is accompanied onto the Big House turf by the invisible sacrifices of their moms and dads, brothers and sisters, grandparents. Look closely enough, just past the C-paw on the gleaming, black helmet, and you’ll see the micro-community is larger than family. High school and little league coaches, teachers, whole neighborhoods and apartment buildings, they’re all in Ann Arbor waiting on the whistle to screech and cleats to kick leather. Clay, Alabama hops with Hayden. Sandy Creek stands with Jaelen and JaQuay. LaSalle leaps with Jarell. Toward the end of last season, the Bearcats looked defeated before they ever walked onto the field. Or as my old man used to say, “Them boys looked whooped before the punchin’ started.” Shoulders slumped and solemn faces, the 2016 UC team slowly approached the gridiron most games, a funeral procession’s pace. One of the first things first year Coach Luke Fickell focused on this offseason was body language. Players must stand, stay engaged, and be prepared to give their undivided effort. Nobody gets a pass, not even media. After a spring practice, Coach Fickell joked that I’d yawned one too many times during practice. Science supports Coach Fickell’s philosophy. “Embodied cognition” is a phrase used to describe the mind-body connection, and scientists have discovered that the posture of the body triggers the mind. Good posture doesn’t just display confidence, it transforms the chemical composition of the brain. Presumably wearing lab coats and holding beakers, scientists collected saliva samples of people displaying different postures. The beaker spit showed that upright postures increase testosterone while decreasing cortisol levels, the stress hormone in the brain. Ann Arbor is a hop, skip and a jump from Cincinnati. In the 60s and 70s, many influential rock bands called Ann Arbor home, including Iggy Pop, Bob Seger, and George Clinton. Bearing the hallmarks of a musical past, Ann Arbor has plenty of great bars, breweries, coffee shops, and even a Himalayan Bizarre. The city is a weird blend of the eclectic bohemia that surrounds most Midwestern universities combined with a rabid maize-and-blue-clad fan base, many of whom never bothered to enroll in classes. As you can gather, the thesis of the article inciting digital violence from the Michigan faithful – UC would win the game. Why was that so offensive? Why did I believe the Bearcats could compete? Coaching and talent. Prior to Saturday’s game, Luke Fickell had jogged onto the Big House turf ten times. At Ohio State, Fickell was 5-5 in the Big House (0-2 as a player; 5-3 as a coach). Having observed a fair number of good coaches in my life, I think Luke Fickell could end up being a great coach. He’s as concerned with the body language and culture of the team as he is the Xs and Os of schemes. Football is a violent game, a fight. Players collide, sometimes at high speeds. Football’s violence is the great equalizer, providing any athletic team with a puncher’s chance to win. Early in the game, it appeared as though Michigan was going to cruise to an early TKO. Michigan’s two quick scores felt like a punch in Cincinnati’s gut. Though hobbled, the Bearcats climbed up from the ground, and scrapped their way back into the game. 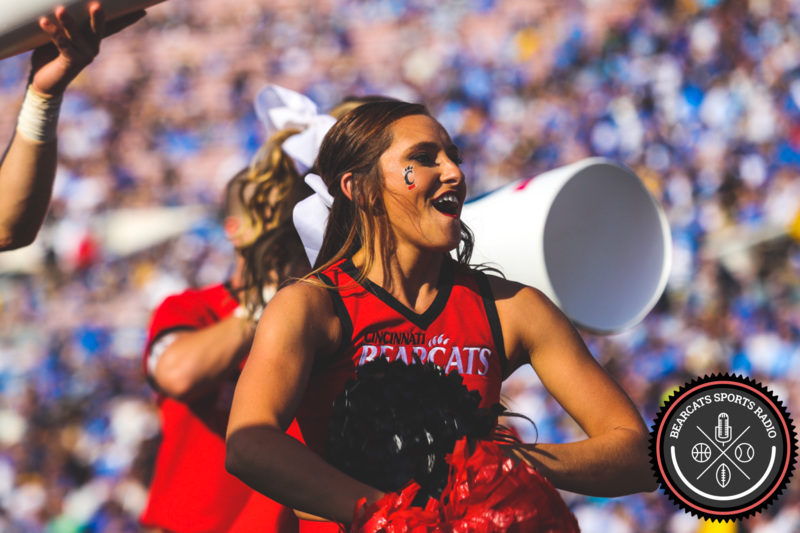 UC opportunistically recovered fumbles and entered halftime down ten points (7-17), set to receive the third quarter kickoff. As the players made their way into the locker room, their posture advised how the second half would go – this Bearcats team was far from whooped. At the end of the third quarter, the margin was ten points (14-24), as well. But late game mistakes ultimately cost us the win. I say “us” for a reason. The University of Cincinnati players and coaches lost the football game to the University of Michigan players and coaches, 14-36. But we, the community (and micro-communities) of supporters saw something we haven’t seen in a while. Fight. Confidence. Heads held high to the finish. After the game, Michigan fans took note. I walked in front of the band as they marched down Hoover Avenue, the street still lined with Wolverines faithful. They clapped. They shouted encouraging remarks about how UC played. They applauded the band as though they went wire to wire with Harbaugh’s 8th ranked squad. In some ways, they did. We all did. For me, more emotion. Touching the corner of my eyes, I acted like the Ann Arbor mold count was high. Allergies, I explained to my friend. The Big House is a whole body experience. One hundred and eleven thousand human beings on this somewhat shared journey, each wanting our community to prevail. Though each of us is focused on our team, the same things are unfolding in our presence. And it’s beautiful. The 2018 Bearcats recruiting class is shaping up quite nicely and I get the sense that UC loyalists are going to have a lot to cheer about in the coming seasons. 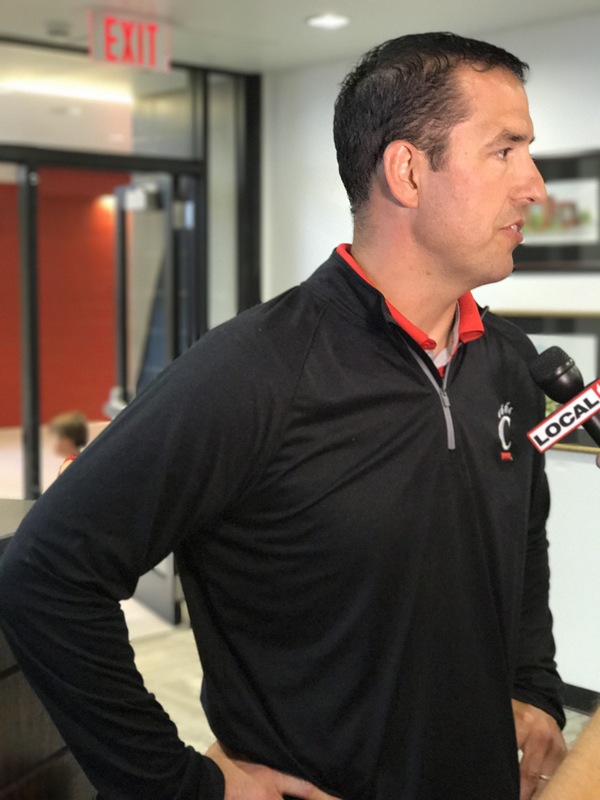 Newly-minted Head Coach Luke Fickell has pressed the reset button on the football program and is landing top tier Cincinnati talent like no coach before him. 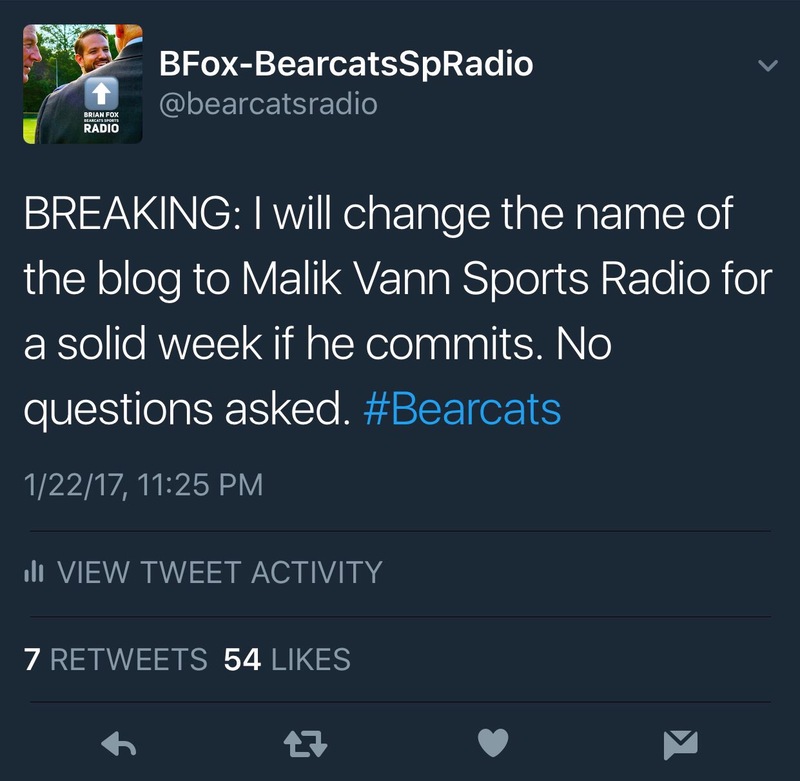 Before the all-world defensive end committed to the Bearcats, I pledged to change the name of this site to “Malik Vann Sports Radio” if he chose UC. Well, that’s happening May 1st through May 7th. My Twitter voice wrote a check that I intend to cash … for the sake of the Bearcats Nation. You’re welcome, fam. 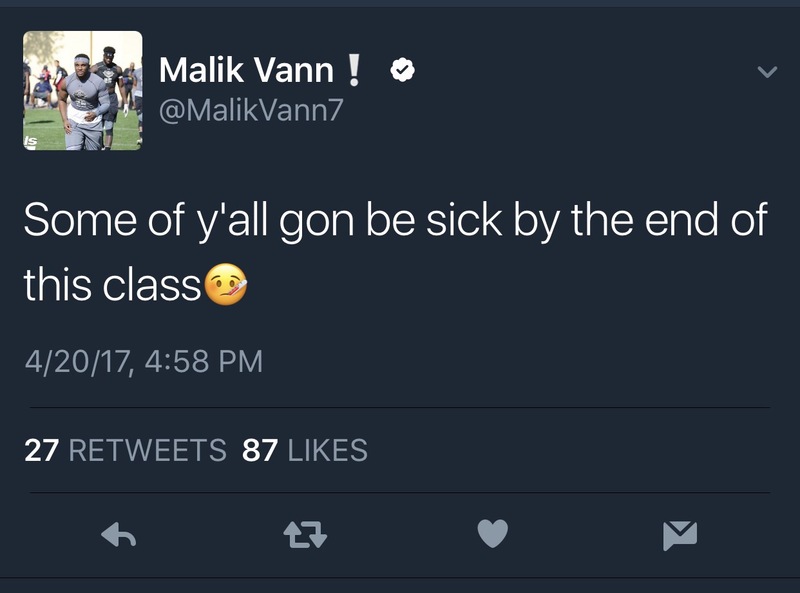 Vann joins a handful of other highly sought after recruits in the 2018 class. By way of example, TE Josh Whyle (La Salle) also selected UC over Auburn, Oregon, and Wisconsin (to name a few). While I’m reluctant to report rumors, here’s what I’ve heard through the (occasionally unreliable) grapevine. 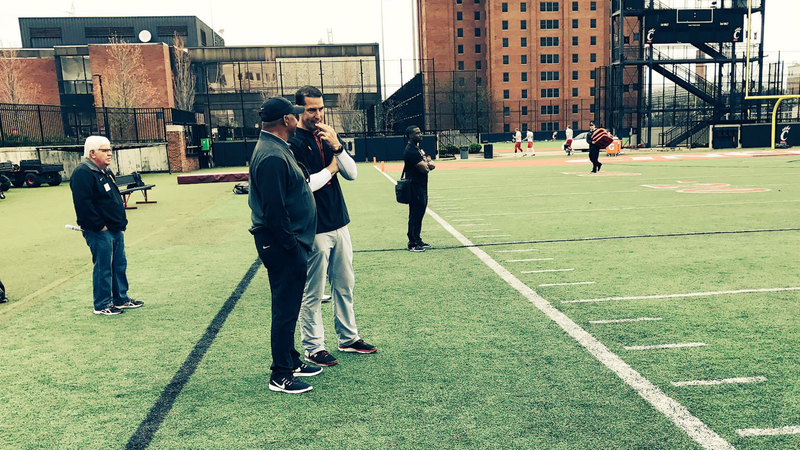 I heard that a group of top tier recruits from the Queen City met with each other during UC’s Spring Game last week, outside the view of the media and coaches (which I’m officially labeling the “Cincy Stud Summit“). During the Cincy Stud Summit, the recruits allegedly looked each other in the eyes and vowed to commit to UC if everybody was in. My fingers are crossed that Coach Fickell can continue to land these great local athletes. Southwest Ohio has always been one of the richest environments for high school football, and it’s exciting to see this coaching staff pursue and persuade these guys to play for UC. The recruits’ support systems and families are here. The University is phenomenal. Nippert is magical. Keep them coming, Coach Fick! Go Bearcats!